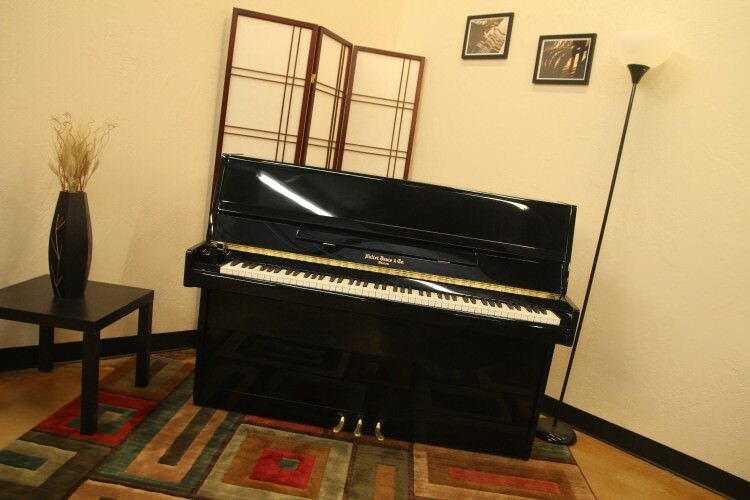 From $73 per month** Click here to begin your approval process! 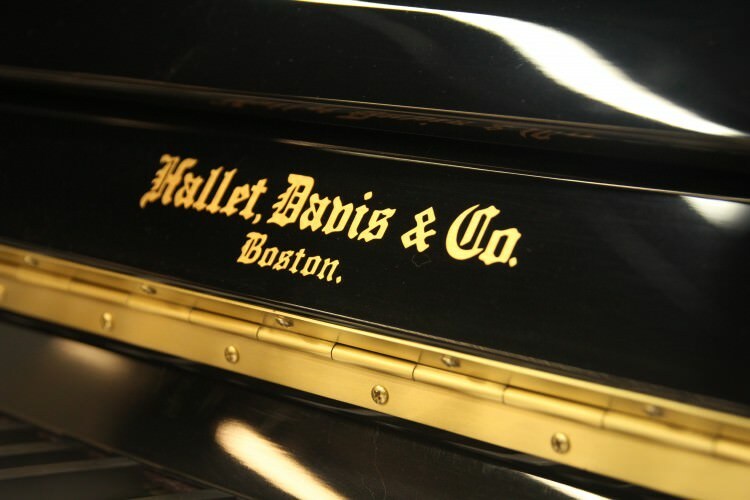 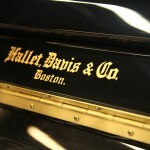 This beautiful Hallet, Davis & Co. 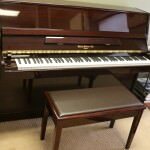 Console Piano in your choice of ebony polish or mahogany polish will make the perfect addition for even the smallest of spaces. 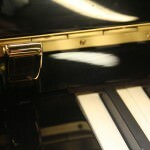 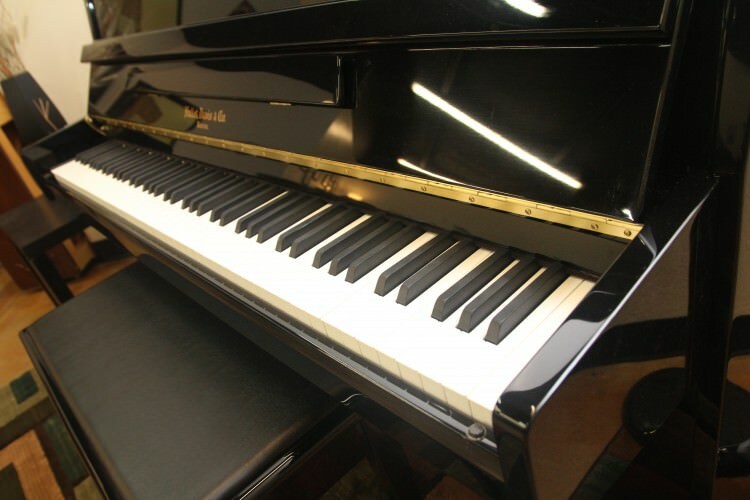 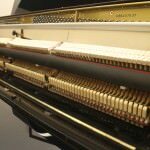 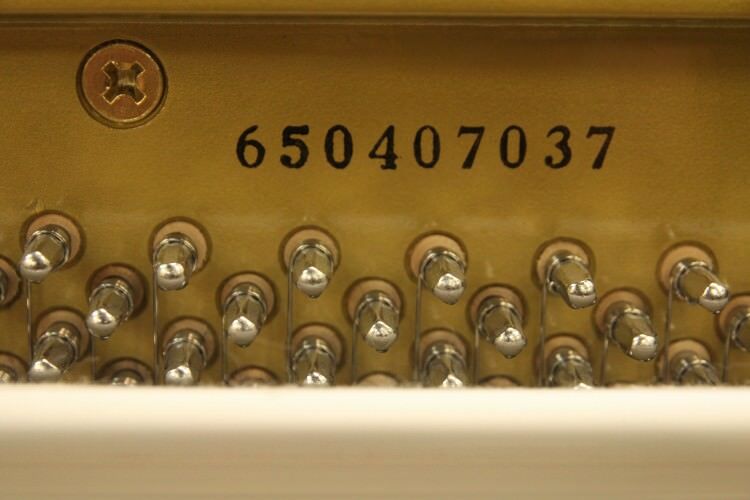 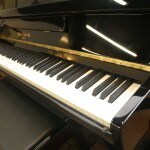 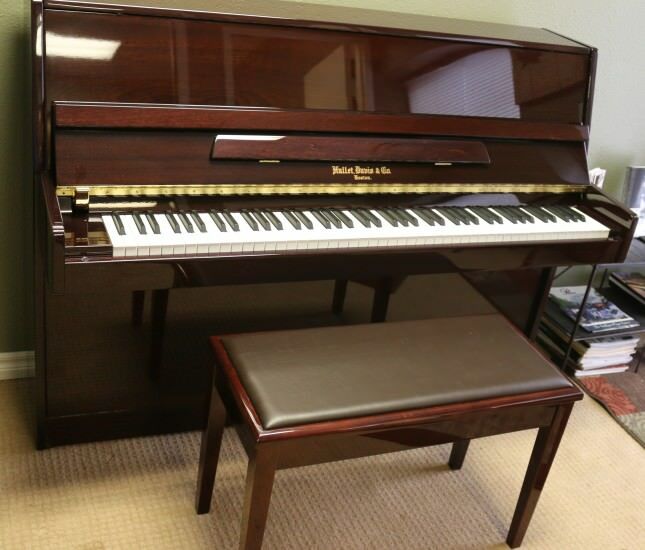 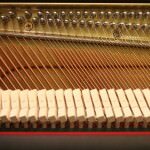 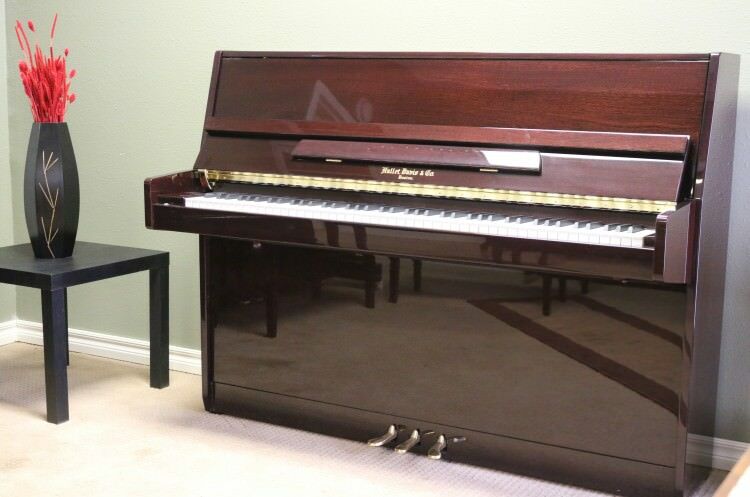 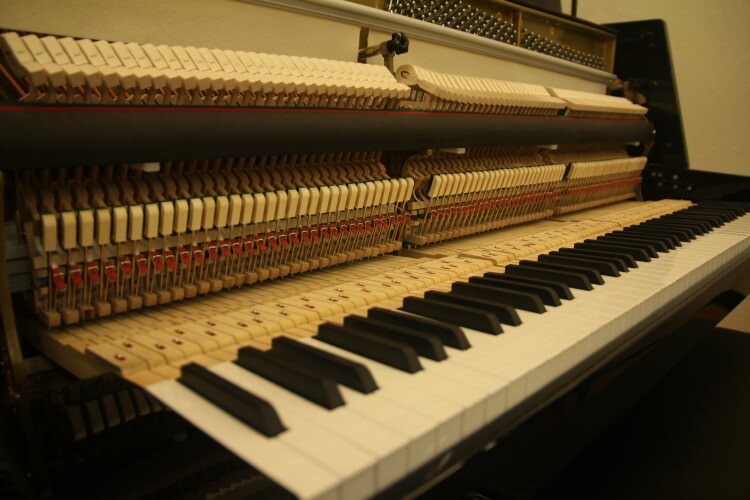 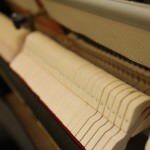 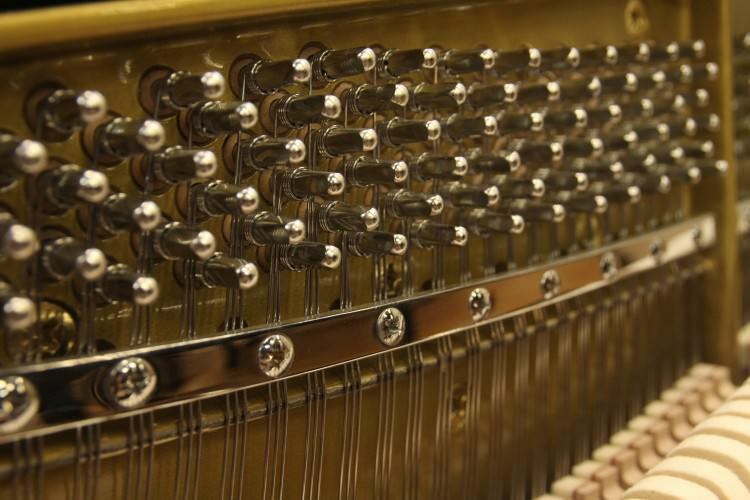 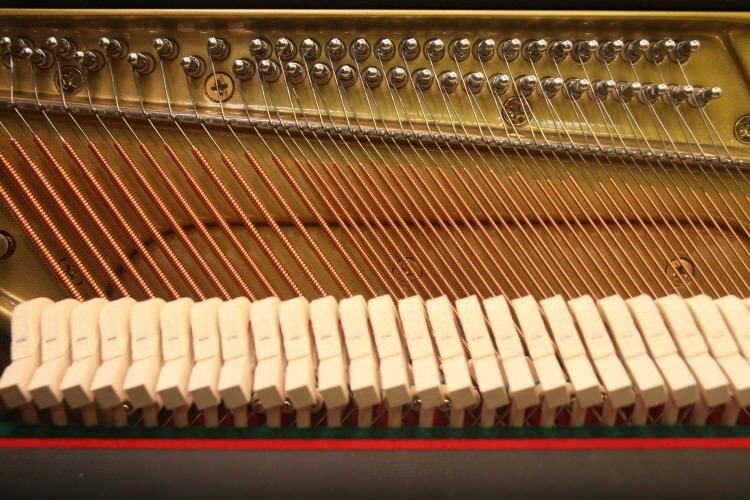 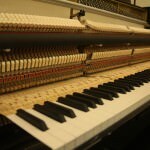 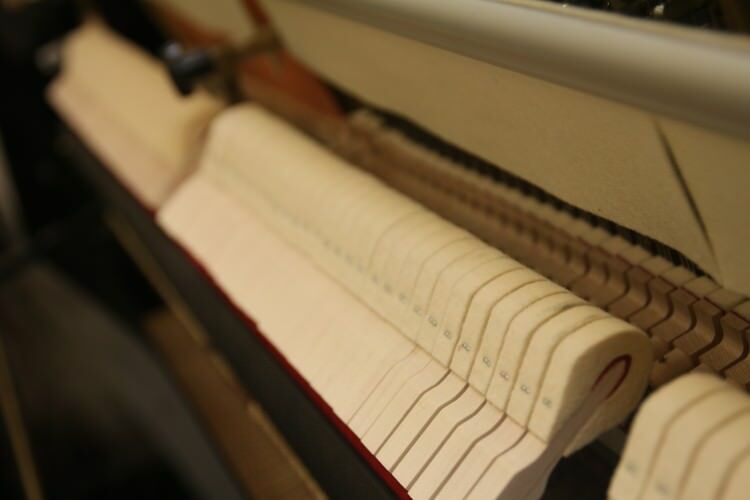 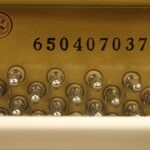 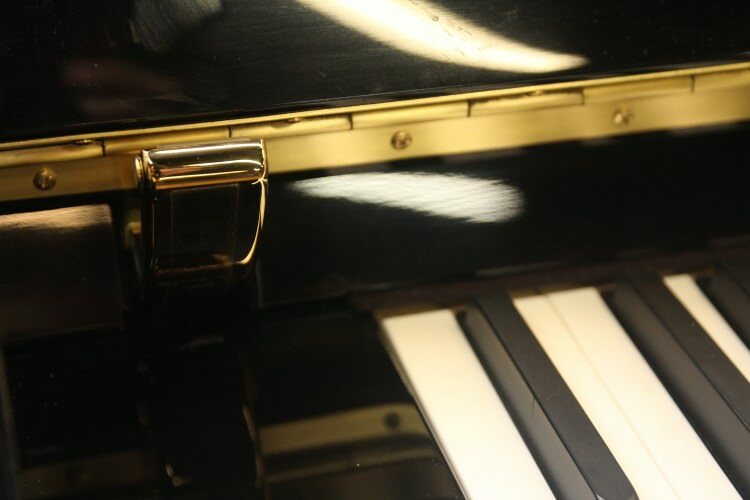 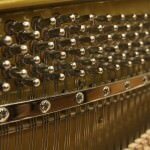 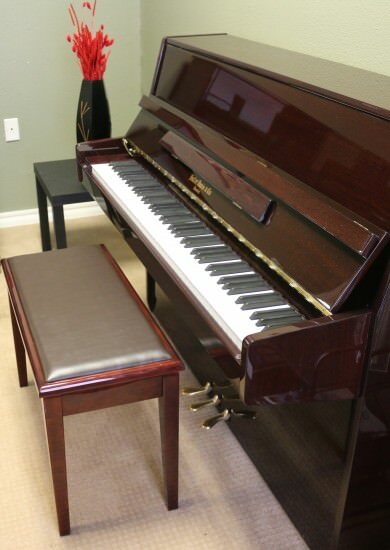 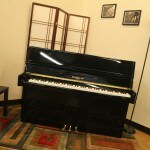 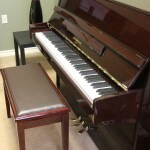 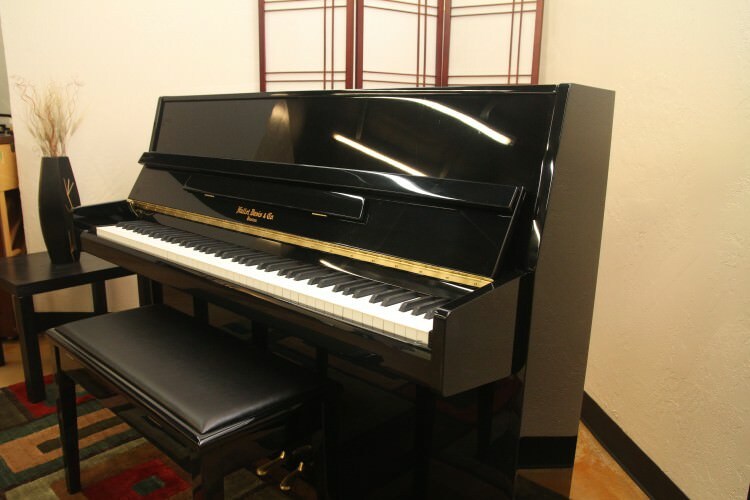 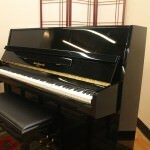 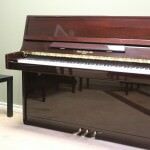 Full size direct blow action and grand size keys make this piano a joy to play for professionals and amateurs alike. 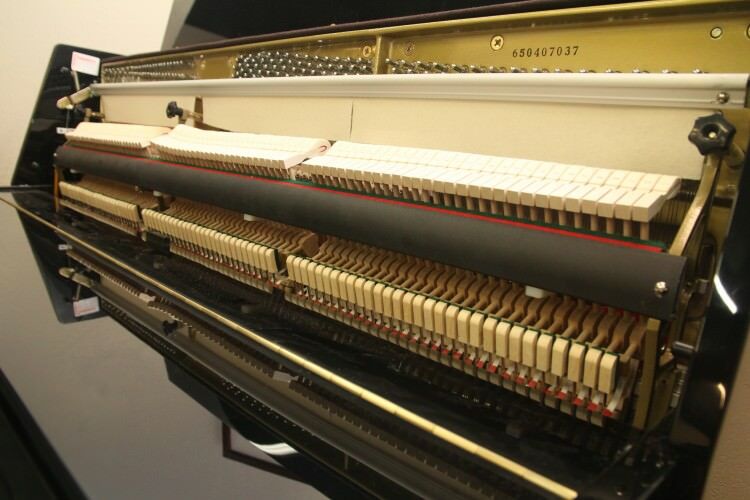 Includes a soft close fallboard and a soft practice rail.